The upcoming 2018 Honda HR-V to feature a 1.6-litre i-DTEC engine. To compete with the likes of Mahindra XUV500, Hyundai Creta and Jeep Compass. Honda will unveil the HR-V in 2018 with official sales starting in 2019. The Japanese carmaker is all set to bring in even more SUVs in the upcoming months. The prior success stories being the WR-V and the BR-V that paved the path for even more premium crossovers to launch in the nation. 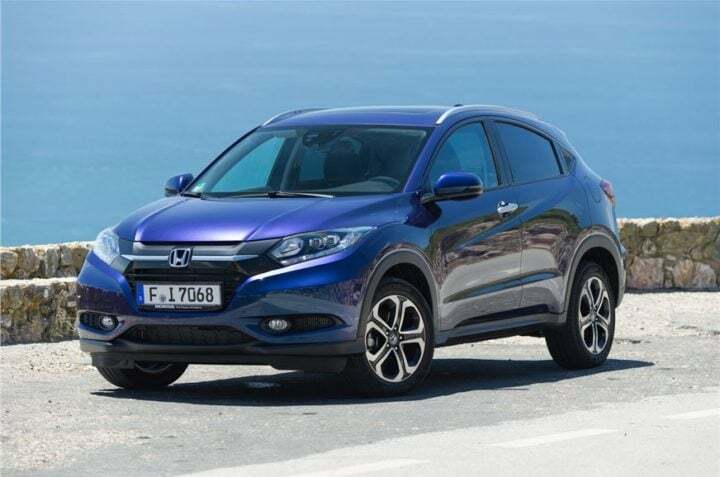 The upcoming 2018 Honda HR-V is a global product with various drivetrains on offer specific to the region. Honda will be unveiling the upcoming compact SUV at the 2018 Auto Expo which is going to start in the second week of February. Sharing the stage with the HR-V will be the updated 2018 CR-V and the 2018 Civic. The upcoming 2018 Honda CR-V will offer 7-seats for the first time. 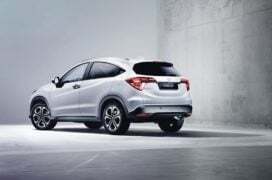 First launched back in 2014, the Honda HR-V slated for India is the facelifted version and has received a major makeover in global markets. The new compact SUV by Honda will compete with the likes of Hyundai Creta, Jeep Compass and Renault Captur. The upcoming 2018 Honda HR-V might be showcased at the 2018 Auto Expo. We expect the Japanese automaker to launch the HR-V sometime in 2019. Certain reports suggest the launch to take place as early as the last quarter of 2018. We await the official confirmation from the Japanese automaker about the Auto Expo unveil. Considering the HR-V will sit right between the BR-V and the CR-V, Honda is expected to launch the 2018 HR-V ranging between INR 15 lakh and INR 20 lakh. 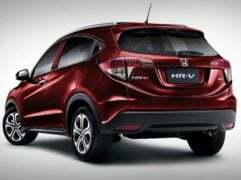 Honda is planning to develop the upcoming compact SUV locally in the nation promising a competitive price upon launch. Seen in the picture above is the recently released 2018 Honda HR-V facelift. In the Japanese domestic market, the same SUV is called Vezel. Honda HR-V is based on the Jazz platform which it also shares with the City and the WR-V. This translates to major parts already being localised in the nation. Honda recently started the production of the new 1.6-litre i-DTEC engine at its production facility in Tapukara, Rajasthan and the same engine will be deployed in the upcoming HR-V, Civic and the CR-V. The petrol variant will carry the 1.5-litre i-Vtec engine from the Honda City. Initially unveiled at the 2013 Detroit Motor Show under the badge ‘Vezel’, the HR-V looks compact yet aggressive on the outside and in-line with its siblings on the inside. The 2018 Honda HR-V facelift launched recently follows the automaker’s latest design language otherwise spotted in the City. The front bumper featured revised design, the front grille is now bigger, new LED headlamps and slightly tweaked fog lamp housing. The new HR-V also gets Honda’s latest safety and driver aid systems called ‘Honda Sensing’. The infotainment system on the upcoming crossover will be compatible with Navigation, Apple Car Play and Android Auto. As Indian customer’s quench for SUV grows over time, more and more automakers are presenting their products in the segment. The roomy interiors, large proportions, commanding position and go-anywhere capabilities are something the Indian buyers yearn. While the BR-V failed to impress, let’s hope the upcoming SUV from Honda to offer better results. The upcoming 2018 Honda HR-V is based on the Honda Urban SUV concept showcased back in 2013 at the Detroit Motor Show. The HR-V is based on the Jazz platform and derives most of the exterior design elements from the Jazz and the CR-V. The compact SUV undoubtedly looks premium from each angle. Judging from the latest pictures released online, the HR-V carries over Honda’s design philosophy, identical to that of its siblings. The front grille carries Honda’s latest design update with thick chrome strips running across and the company’s logo sitting right in the middle. The new grille looks identical to that of the Civic. The upcoming crossover carries new LED headlamps with daytime running lights which look familiar to that of the Jazz. The 2018 model will carry updated design for the fog lamp housings and honeycomb mesh design for lower intakes. The side profile of the upcoming 2018 Honda HR-V resembles that of the latest CR-V and the hidden door handles for the rear doors might be a first for any Honda. The flared wheel arches are set high and go well with the sloping roofline giving the HR-V a more muscular and aggressive look. The boot features curvy aerodynamic styling lines as well. 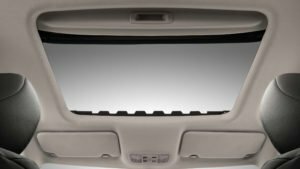 The 2018 HR-V might be offered with a panoramic sunroof on the top variant and chrome exhaust pipe finisher as an accessory. The upcoming 2018 Honda HR-V sits over 4-meter in length attracting higher tax structure. In terms of proportions, the HR-V sits 4,295mm long, 1,770mm wide and 1,605mm high. The wheelbase itself acquires 2,610mm from the length pointing towards a roomy cabin. The ground clearance will be affected as the India-spec model will carry smaller wheels but expect it to be above 180mm. The HR-V will offer to seat for 5 persons with enough boot space for a weekend getaway. The weight of the HR-V varies across variants and ranges between 1,180 kg and 1,320 kg. 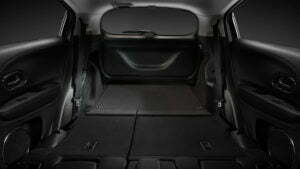 The boot space is a generous 470 litres with 60 litres worth of fuel tank capacity. 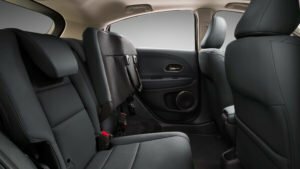 The interiors of the upcoming 2018 Honda HR-V carries various inputs from its siblings. 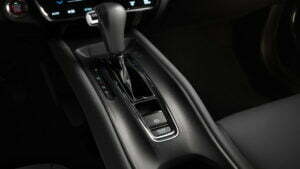 The steering with controls for audio and cruise control looks identical to that on the CR-V. The touchscreen infotainment system and the touch-sensitive automatic climate control unit look similar to that in the City. The features list on the upcoming crossover is expected to belong with rear parking sensors and keyless entry and ignition offered amongst other features. The India-spec model to offer Honda’s DIGIPAD infotainment system with Apple Car Play and Android Auto. The colour scheme for the interiors of the India-bound Honda HR-V is expected to be a mix of black and beige dual-tone shades. Internationally the HR-V is powered by a 1.8-litre i-Vtec petrol engine that is shared with the Civic sedan. As mentioned above, the India-spec model will borrow the 1.5-litre i-Vtec engine otherwise doing its duty in the City. The diesel unit will be a brand new 1.6-litre twin-turbocharged i-DTEC unit which will also power the upcoming Civic and the CR-V. The diesel unit is being manufactured at the Tapukara facility of Honda and the same is being exported to Thailand as well. If reports are to be believed, Honda might offer a new 1.5-litre turbocharged engine that makes 175 bhp of power and 220 Nm of torque. We expect Honda to be lazy and simply use the unit from the City that makes 118 bhp of power and 175 Nm of torque. Using a normally aspirated engine reduces the initial as well as maintenance cost of the vehicle and India being a price sensitive market, we expect Honda to favour the latter. 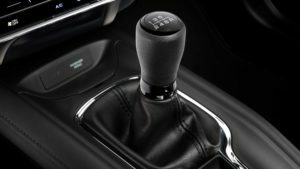 Both the engines will come mated to a six-speed manual transmission while the top petrol variant will feature a CVT as well. Since Honda will be borrowing the petrol engine from the City, it doesn’t take a genius to calculate that the company will deploy the CVT transmission from the City as well. Apart from being price sensitive, Indian customers yearn for great fuel efficiency as well. Fuel is one of the highly taxed commodities in the nation right now leading to excessive price increase year over year. The diesel fuel that retails right now amounts to around INR 64 per litre, out of which, INR 30 accounts for everything else while the rest amount of INR 34 is all tax. With such high taxes being levied on a necessary commodity, the customers are bound to favour more efficient vehicles. The upcoming 2018 Honda HR-V will employ frugal engines as well. The customers can expect the petrol engine to deliver an average fuel consumption of 16-18 kpl and the diesel unit to average around 20-22 kpl. Honda’s vehicles are based on the company’s philosophy of “Man Maximum Machine Minimum”. 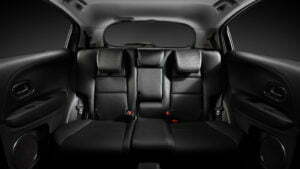 This enables Honda to design the vehicles keeping the comfort of the passengers on top of the priority list. 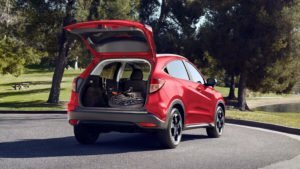 The upcoming 2018 Honda HR-V holds a wheelbase of 2,601mm suggesting spacious interiors and segment-leading headroom, legroom and shoulder space. 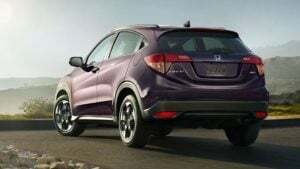 The Honda HR-V is a premium crossover that will employ premium materials on the interior with high-quality leather seats providing plush and comfortable interiors for its customers. The upcoming 2018 Honda HR-V will be one of the safest products in the segment. 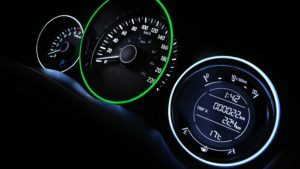 The dual-stage multiple -threshold front airbags are the latest entry in terms of safety features. A total of 6 airbags will keep the occupants safe in case of an accident. ABS with EBD, along with 2 front airbags will be available as standard across all variants as standard. 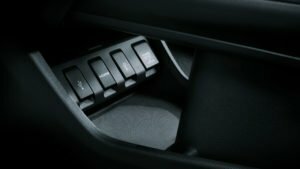 Stability assists with traction control, tyre pressure monitoring system, daytime running lights, multi-angle reversing camera, child-proof rear door locks and seatbelt reminder for front passengers mark the end of the list for the safety features to be offered on the upcoming crossover from Honda. The latest entry from Honda will offer MacPherson strut setup at front and Torsion beam setup at the rear. 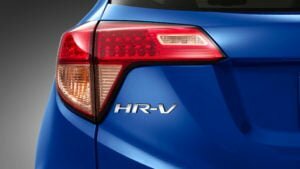 The 2018 Honda HR-V will employ ventilated discs at the front and solid discs at the rear for braking duty. The 17-inch wheels will be offered with 215/55 R17 tyre size. The upcoming 2018 Honda HR-V is expected to launch either late this year or early next year. Upon launch, the HR-V will compete with the likes of Mahindra XUV500, Hyundai Creta, Toyota Innova and CH-R, Tata Hexa and Jeep Compass. 2018 Honda HR-V – Should you wait for it?